This is another recipe I made in an effort to use up our watermelon a little faster. 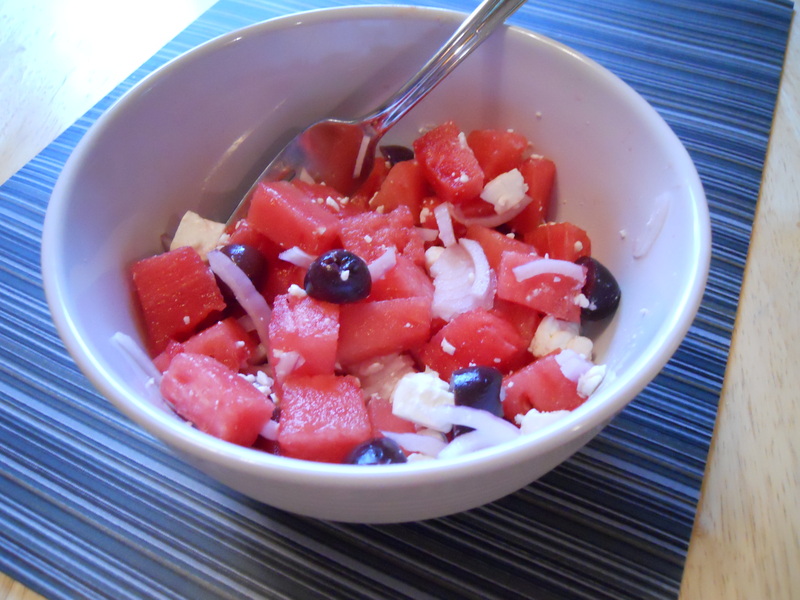 I was sick of eating plain watermelon so I was hoping dressing it up a little would make it more appealing – and this totally did the trick. The flavors here work really well together and make a great dish – it was something I was looking forward to eating again, despite being watermelon-ed out. The recipe below is sized to serve one because I felt this dish was best fresh. You can multiply it as needed.